For best overall machining results, tool overhang should always be kept to the absolute minimum. 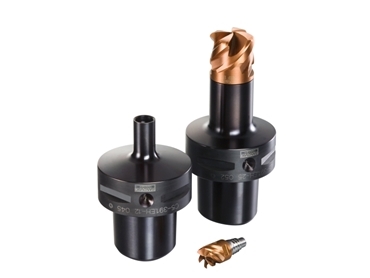 Integrated holders with an EH coupling provide a shorter total programming length compared to cylindrical shank tool holders with EH coupling. Integrated holders therefore provide the highest stability, when all other machining variables are the same. With modular tooling possibilities the integrated tool holders can be used in many tooling combinations to suit application and machine tool, from a smaller inventory of standard items.